Relationship of geographic location of Data Centers and network latency is always one of the features which is taken into account while operating in different countries, like to choose partners for colocation or select the location of data center. Among the issues taken into account, one must consider that, the geographic location can affect the cost elements, the cost of electricity to the availability of a workforce that has the necessary skills and sufficient experience. We wrote before that, optical networks and low latency for data centers are requirements for new applications and wider variety of services, including those for cloud computing. What is often not clear to most, however, whether the geographical distance affects or less on the problem of latency. According to a document latency caused by large geographical distances creates a negligible effect on User Experience and in cases where the latency may affect this experience, because in reality it would not be so tied to the distance as to the other technical factors. The document in question discussed various developments in evolutionary design applications and in their implementation that have managed or may be eliminate the most significant components of the latency. In particular, the graph shown indicates the correlation between latency and business processes, which implies that only the variations in latency greater than 200 ms will impact on processes, while the delay due to network latency recorded in the U.S. (that also reach considerable distances) does not exceed 100 ms from most areas of the Globe. Chunks of static materials get effected more by this network latency specially when we use certain Network Protocols (read about Communications Protocol here and Internet Protocol Suite here), this is the basic reason of using Content Delivery Network (CDN). But, CDN can not serve executable files like PHP, so basically the backend processing remains on the hand on the main server location. Obviously, if .htaccess in case of Apache Web Server, do not allow the request to serve a static file but the front end has the provision to deliver, to obtain the Error message, the call will be from the main server. 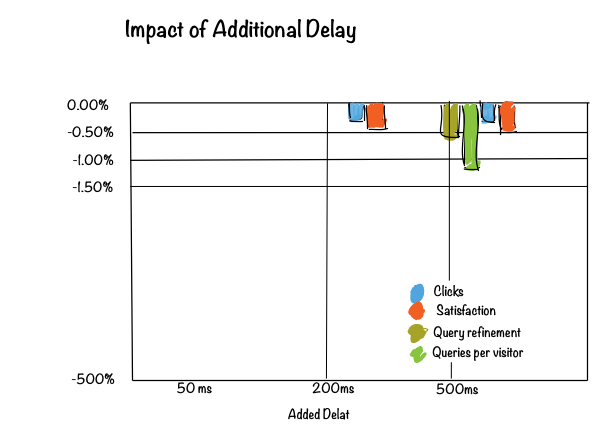 CDN is a low cost simple effort to reduce the page loading speed (i.e. to load the web pages faster). That is the basic reason why traditionally different setup is used, based on Geographically distributed servers, which automatically will switch the request to the County specific server. But the setup is too much costly. Here is where understanding the Relationship of Geographic Location of Data Centers and Network Latency matters. It has been seen that, for server CPU intense works; there is not much effect of the distance as the cables are distributed in a way so that the impact become lesser. Plus the protocol used in question; has direct relationship. There are obviously more complicated factors which can make the difference more less. This Article Has Been Shared 7128 Times! Cite this article as: Abhishek Ghosh, "Relationship of Geographic Location of Data Centers and Network Latency," in The Customize Windows, August 19, 2013, April 18, 2019, https://thecustomizewindows.com/2013/08/relationship-of-geographic-location-of-data-centers-and-network-latency/.